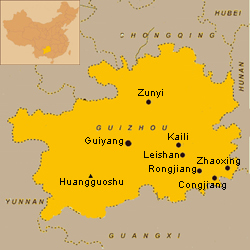 Guizhou is part of the Yunnan-Guizhou Plateau in China’s South. 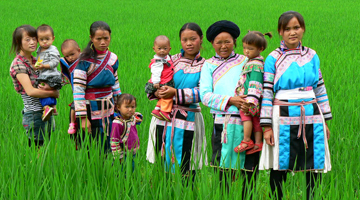 The mountainous province has little arable land, even though the climate is mild and the rainfall adequate. That doesn’t mean that the landscape is less breathtaking than its neighbor provinces’ Yunnan, Sichuan and Guangxi. It shows you green valleys, impressing waterfalls and beautiful limestone peaks and is home to China’s biggest waterfall and underground cave. 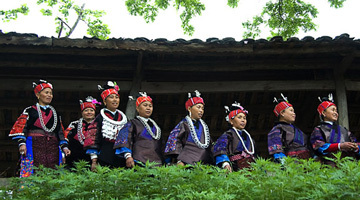 Guizhou contains more than 15 minority groups that – due to the very slow modernization of this province – especially in the rural areas still live in a very traditional way. 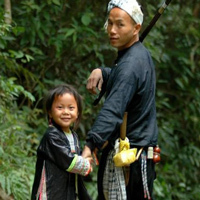 Their colorful costumes, unique houses and strong customs let one forget the modern urban China quickly. Especially during one of their numerous festivals, like the Sister’s meal festival. 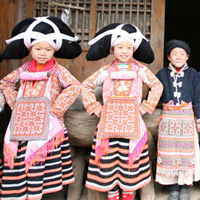 One of the most famous minorities are the Miao with their special costumes, hairstyles and traditions. with an area of more than 170,000 square kilometers and a population of 37,620,000.
with neither a frigid winter nor a sweltering summer. The annual average temperature there is 15°C. tobacco and the outputs of tung oil, oil tea,Chinese Tallow, raw lacquer, tea and traditional Chinese medicinal materials. 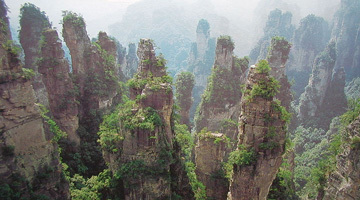 Guizhou is a very mountainous area. Most of Guizhou dishes are sour and hot.